Originally from Argentina. Laura Ferro is the founder and creative director of Rebel Monk, a video production company based in Silicon Valley that provides video content for the tech industry. She currently collaborates with a diversified list of companies, which frequently includes videos for Samsung and The Sierra Club. Laura began her career in the theater as a director-choreographer in Brazil and later in Portugal. For over 10 years Laura wrote and directed sold-out dance pieces. She holds a master's degree in Performing Arts and with a thesis focused on the relationship of the body with the camera. She has taught in Paris, Barcelona, Rome, San Paulo, and Buenos Aires. After her success as a visual artist on stage, Laura naturally progressed to video as a new art form. She has created videos for international music videos and commercial productions, under directing credits include the art piece called "Shifted" (shown in more than 20 film festivals and screening around the world) and the music video Tidal Wave (nominated Favorite 2015 Music Video from the MYX Music Awards in the Philippines). 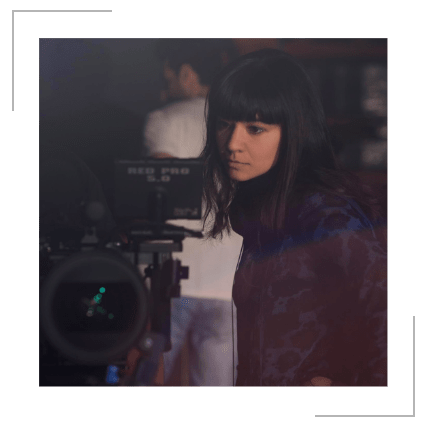 Since joining the Silicon Valley filmmaking community, Laura has had the opportunity to work for brands such as Facebook, ESPN, G-Eazy and several others in the USA. Most recently, Laura has focused her efforts on directing and producing a documentary about pregnant homeless women in Silicon Valley. In preparation to create a longer, feature-length film, Laura began with an initial short documentary, which focused on the lives of 3 mothers who struggle to leave behind addictive and drug-ridden pasts, while also featuring interviews with police officials, shelter representatives, and non-profit organizations. It has a little mistake on your info. Can you check that, please? Oops, there was some internal error on the server. Please wait for a few minutes or try again later. Thank you! !